Wangan Midnight Maximum Tune 5DX PLUS ASIA (others) Version 2017.7.19 available! WANGAN MIDNIGHT MAXIMUM TUNE 5DX PLUS (ASIA(others)/INDONESIA) Coming Soon!! 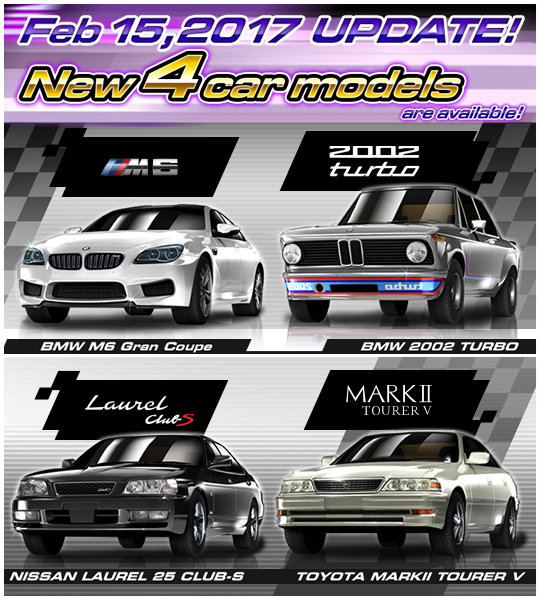 The February 2017 Version update is here! Fixed selection options for "Narrow down by Car's Registered Area" on Internet Ranking page. The October 2016 Version update is here! The bug that prevented Strength aura from correctly transferring has now been fixed. Concerning the bug that prevents Strength aura from correctly being transferred. My Page for Indonesia version Players is available. Indonesia Version will be available, 31 August 2016. Wangan Midnight Maximumtune 5DX Official site Grand Open! !